The Social Studies Department, comprising the fields of History (Ge), Geography (Ek), Political Science (PW), Philosophy/Ethics, and Psychology, reinforces the core principles of the school’s philosophy. The range of subject areas and values addressed strive to promote respect for diverse cultures and religious beliefs, raise political and environmental awareness and involvement, and foster racial and social tolerance. The bicultural, bilingual character of the John F. Kennedy School is particularly apparent in the selection of courses. In grades 7 through 10, students are registered for two hours of history, beginning with Early Modern Times in grade seven and ending with the twenty-first century in grade ten. In addition, students are enrolled in geography where they are introduced to natural forces and mankind’s shaping of the world in all continents. In grades 11 and 12, the courses build upon the basic knowledge and skills acquired in the Middle School. In grade 11, all students take four hours of United States History. Depending on the program (high school diploma or Abitur), courses are also offered in European history, geography, philosophy, and political science. Advanced Placement courses in the areas of United States History, Comparative Government, European History, and Psychology are designed to challenge students in the high school diploma track. The department tries as much as possible to follow the perception that knowledge and life skills are acquired outside the school environment as well as in the classroom. Political awareness and global citizenship are promoted by the Berlin Model United Nations (BERMUN) program where students engage in weekly debates and organize two major international conferences. A variety of field trips complement instruction: Geographical fieldwork is done in Dresden, Hamburg, and Vienna; historical exploration in Havelberg, Goslar, Rom, Vienna; political experience gathered in Brussels. 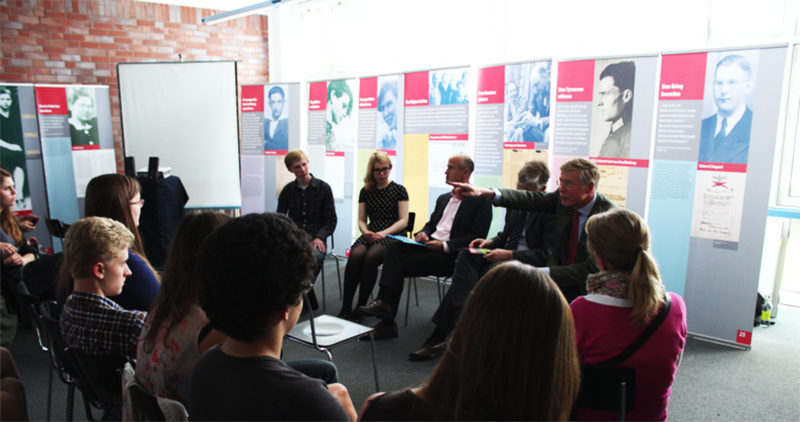 Regular workshops held in and outside of school further motivate students and broaden their understanding of political and historical processes: (e.g. Berlinale, Landesarchiv, Jewish Museum, EU, U18 Election). High ranking political figures and experts from the German Foreign Ministry, United States Embassy as well as historical witnesses are invited to speak. Students are also encouraged to participate in scholastic competitions (e.g. Bundeszentrale für Politische Bildung, History Competition of the Federal President) and to exhibit their work in cooperation with political foundations. The breadth of courses and experiences offered by the Social Studies Department and the knowledge, skills and values acquired, empower John F. Kennedy School graduates to be engaged, politically astute, and reflective citizens able to contribute in all professional arenas.